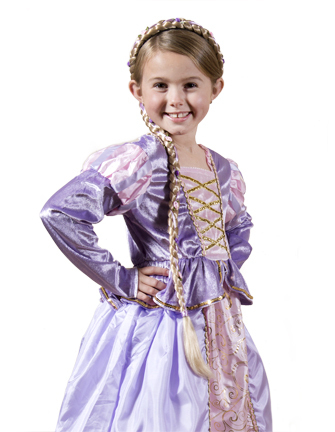 A princess Rapunzel dress up costume that is absolutely gorgeous. It really is as beautiful as the picture. 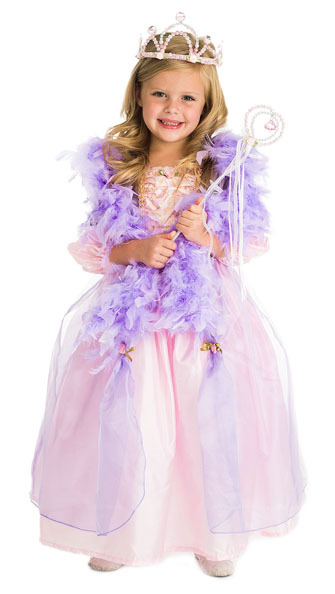 This gown is made from a sparkly crushed velvet bodice and other amazingly soft fabrics. 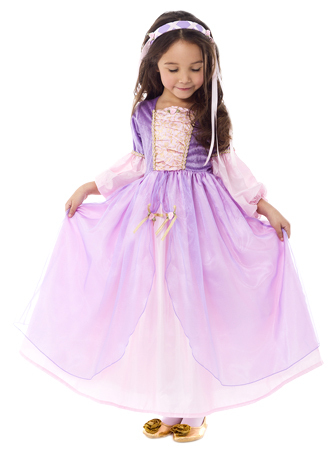 The unique princess sleeve is positively elegant, and the billowy-organza overskirt in shimmery purple is astonishingly pretty over the pink skirt. A staff favorite for sure, plus it doesn't have any glitter to shed around your house! 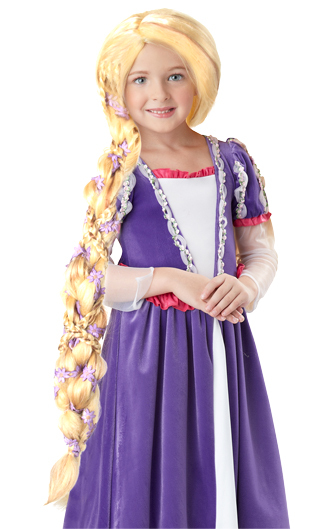 This is the most beautiful, sweetest Rapunzel costume. I love it, my 5 year old adores it, and I am so pleased with the quality! Washable is so necessary with kids, and so hard to find in the world of dress ups. After a couple of years using cheap, poorly made costumes for my daughter to play dress up, I discovered these high quality dress ups. I've since purchased four more!! 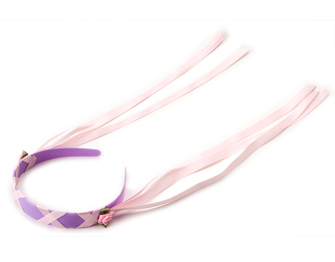 What little girl doesn’t love the combination colors of pink and purple? This dress mixes the beautiful colors of lavender, pale pink, and other coordinating gorgeous shades. The result is stunning! 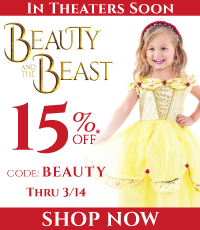 Your little princess will definitely adore it and most likely not want to take it off. Equally awesome, from a practical standpoint, it’s very comfortable. So she won’t complain about scratching, etc. plus, it does not shed glitter and the fabric is very low maintenance and durable. When it’s wash day, I just turn it inside out and wash it with the rest of the laundry - no problem. 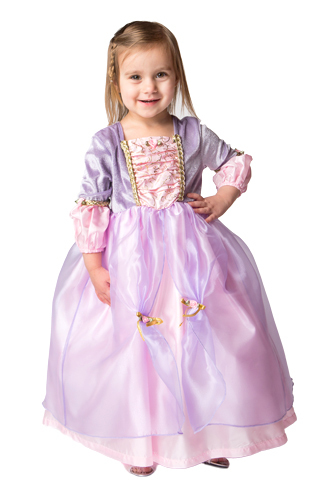 I ordered my soon to be 4 year old this dress for an upcoming Disney cruise. She loves it and it is gorgeous in person -better than the photos I think. After the first day of play, the hem at the tulle ripped and I contacted customer service. They had a replacement going out to me the next day (delivered in time for our vacation!) and were really helpful and responsive. We've had one of the Elsa dresses from here for over a year and it is is perfect shape, washes well, basically everything they promise. 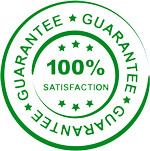 With this experience, I can see that their claims for exceptional service and the 100% satisfaction guarantee are true as well! I am certain that any future dresses I order will be with this company. Can't recommend them enough! This dress was just beautiful. I bought it for a five year old for her birthday and it was an instant hit. The medium fit perfectly and the dress was easy and uncomplicated to pop over her head. 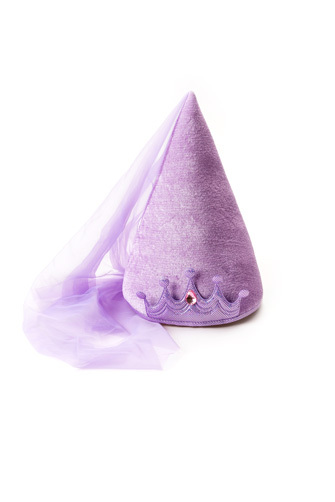 She loved the purple pointed hat with chiffon that went with it. 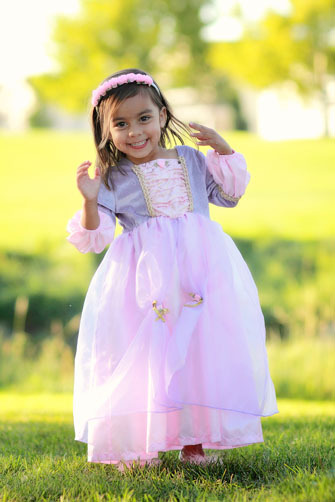 True princess dress up. 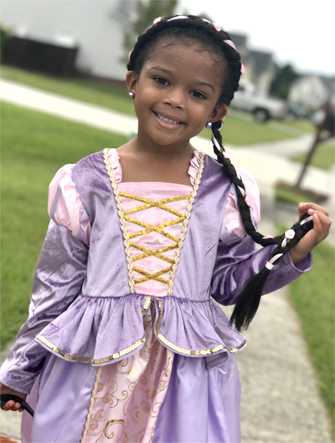 Thank you "little dress up shop" you made her birthday even better. This is a gift for my soon to be 4 year old, so my daughter hasn't got to try it. But, overall I am super impressed with the quality. It looks great. It is so pretty. It also has a great feel to the fabric. It looks like it should be really comfy (not scratchy at all). I also love how it's NOT covered with glitter that will end up everywhere. I will be purchasing more dresses like this in the future! Love it! 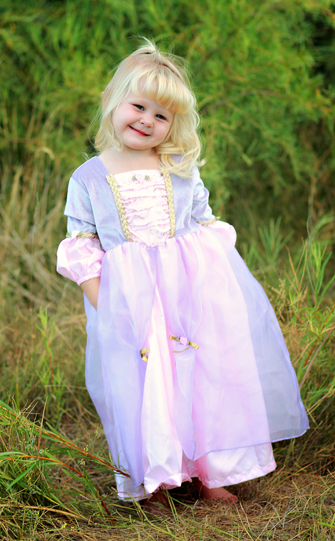 Our 4 year old grand daughter tried the Rapunzel dress on and insisted on wearing it to the grocery store. It is a perfect fit and she looks very pleased.